I have successfully observed and timed the following asteroid/planetary satellite occultations. Accurate ground track forecasting prior to 2001 was really poor, making successful observations problematic at best. You had to be really lucky in order to see an occultation. Beginning in 2001 many more events were being forecasted with improved accuracy, and astrometry (the science of astronomical position measurement) sources and reduction techniques experienced a major advancement. Then in the fall of 2016 the GAIA star catalog was introduced which caused most star position errors to be reduced to near zero, leaving 100% of the prediction error contribution to the individual asteroid ephemeris. Abbreviations: C8=Celestron 8-inch Schmidt Cass telescope in the table below. The M4 is the Meade 2045D telecope. Under “Method” a number in parentheses indicates the number of separate stations that I deployed that succeeded. My method of observation changed in 2001 when I purchased a red sensitive 3rd generation image intensifier from Collins Electro Optics. In 2018 I began using a PC164 camera which graduated to a PC164EX2, then Watec 120N and now Watec 910HX without any need for an intensifier. Occultations may pose challenges. 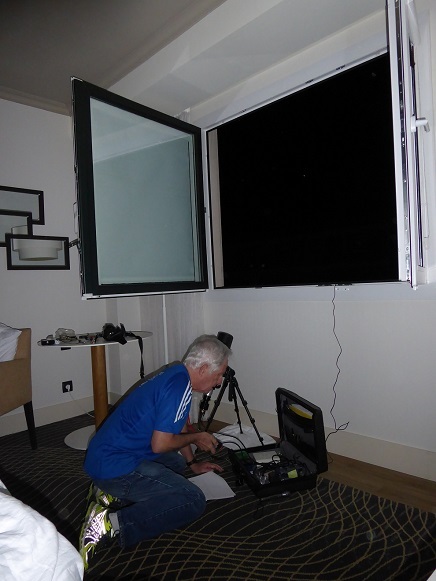 But rarely, it is possible to observe and record such an event even from inside a closed hotel room. I recorded an occultation of 9.5 magnitude TYC 0651-00137-1 from inside room #3284 of the Marriott Auditorium Circle hotel, Madrid, Spain on September 19, 2017 using an 80mm refractor. 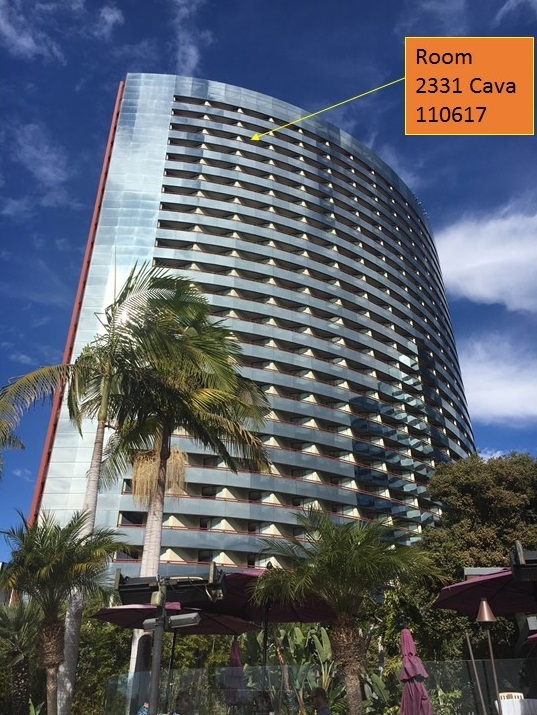 Even at a 63 degree elevation angle, it was possible to see and even record the star through the closed window glass; but to enhance clarity and hang the GPS antenna outside, the window was opened. 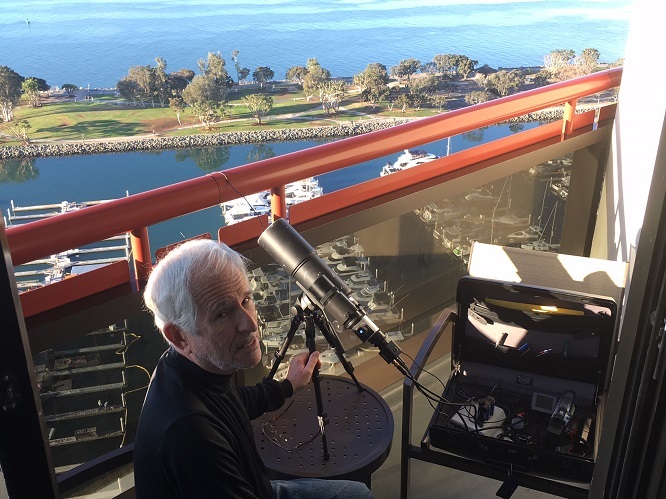 Observing an occultation of HIP 116724 by (505) Cava from the 22nd floor of the North Tower (Marriott Marquis Hotel) in San Diego, California Nov. 16, 2017.